Get the monthly newsletter sent to your inbox! Sign up here! Sign up for the CodeChix AMP monthly newsletter here! You can sign up for our monthly newsletter here! 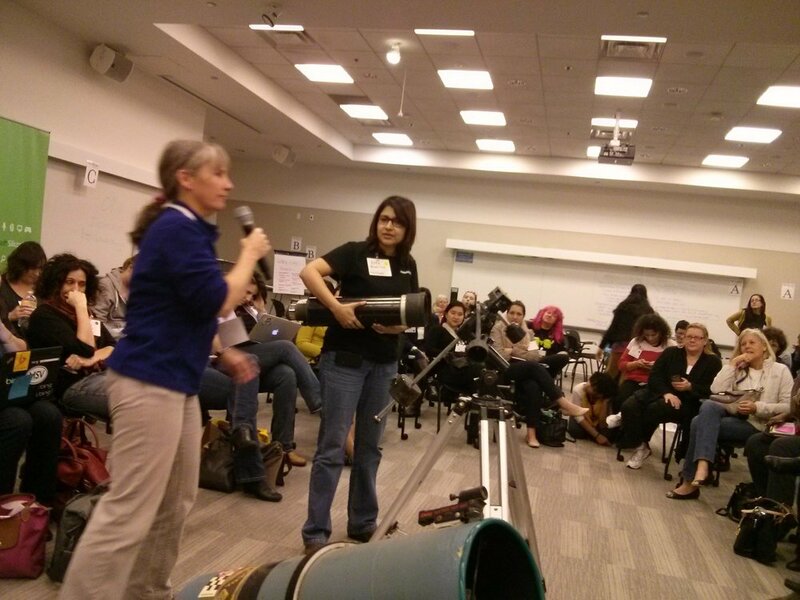 First fundraising for CodeChix at ShesGeeky 2014 by auctioning a couple of telescopes that Akkana had built. Raised $70 ! !